Shroo's World: Sunshine, Tulips and Feline Despots! Sunshine, Tulips and Feline Despots! Holy daffodils, Batman - two posts in one week? Ooooh yeah.... you got it..... See - you'll be sick of me in no time! Anyhoos..... I've been playing in that new journal of mine today, remembering to - above all else - have FUN with art. No pressure. No stress. Just fun. I doodle-painted some tulips that my mum brought for me - they're so lovely and colourful that I couldn't resist! Fun and quick and colourful. The different paper shapes make it more interesting to work in the book - less imposing that a neat block of straight-edged paper! As you can probably guess, I had a lot of stuff sitting on my desk just BEGGING to be played with! When it's all there in front of me I can't help it! I gots ta play! .... a LITTLE bit 'Princess And The Pea' there with just THREE wubby blankies and a mere half-dozen cushies. Oh - and his fluffy cuddly 'Nightmare Before Christmas - Zero' plushy. Poor kitty - how he suffers! Love all the lighthouse piccys - but my favorite is your drawing. Awesome Rachael! Beautiful tulips too! Love those colours. My, but the Colonel has it cushy... I am NOT showing that image to my three felines, lest they get ideas that is the norm. I have but one rolled up towel on my desk that they take turns sleeping it whilst I play in the studio. I am NOT installing pillows. Unless it's for MY chair! About the Colonel...sheesh...what a pampered kitty. I agree my cats must not see this post. It would definitely give them ideas. Oh Colonel but you are beautiful! Reminds me of (and makes me miss) my Rocky. (Who was anything BUT a fighter!) My wee man! I do love black (or tabby) kitty cats. You do look so comfortable on your throne there. I really like the slightly faded look of the last photo and I'm a sucker for 'arty' black and white photos but my favourite version of the light house is your painting, love it. What a life the Colonel leads and how lucky is he to have a sensitive, artistic Mom to provide him with Foofy blankets, pillows and nippits. Your art work is amazing and I love your light house paintings ... I was surprised that you used acrylics ... it has a water color look to it. But that is the mastery of the medium, I presume. You and you Mum seem to be finding great joy in life ... that is a blessing. I love black and white pictures there's just something about them. Oddly enough I was just about to sit down and paint a lighthouse! LOL... Yours is amazing! And yes how that little kitten suffers... LOL... so cute! i look forward to your posts , they are so full of information , fun and lovely artworks . You are very versatile . Keep up the good work ! I too love the pictures you painted of the lighthouse ... full of life and attractive to the eye . Hello from South Carolina in the USA! 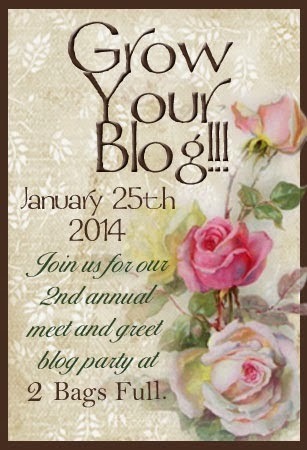 I am still making the rounds of the GYB party and find your pretty blog! All of your photos are wonderful! I love the painting of the lighthouse and its whimsical nature. Your cat reminds me of one our family had when I was a young girl. His name was Inky and I remember him fondly. I have really enjoyed my visit here today and will now be a follower. I hope you can find a moment to visit my blog if you have not done so already. I haven't had a chance to respond to all the comments yet, but am replying a few at the time. Have a beautiful and blessed week! Beautiful work and I am completely jealous of your "stuff to play with". Love the flowers, I do think that your Arty light house looks better than any of those pics...poor poor puss. Somehow I missed this one and it was worth going back for! The lighthouse is wonderful but the tulips are absolutely stunning! I'm so glad you had some lovely sunshine. We get far too much here in S. California so I'm more than happy to share with you and the Colonel.